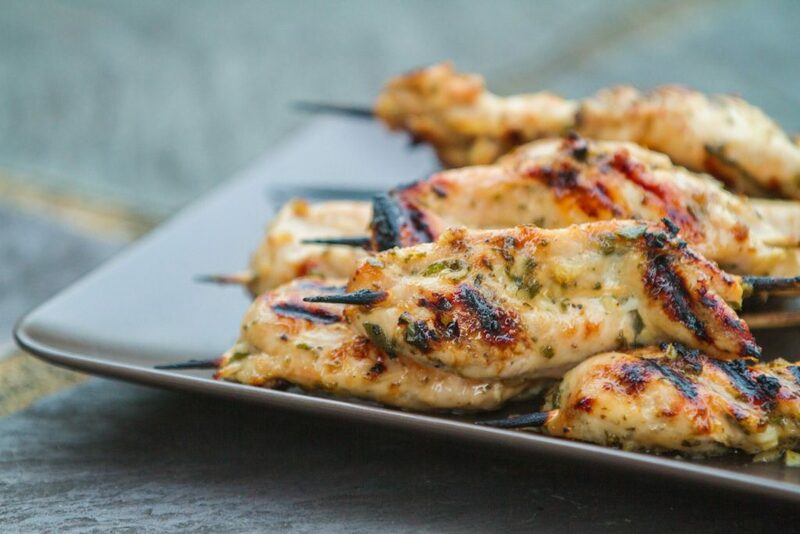 Chicken is the perfect canvas for tangy lemon matched with bright, fresh herbs and robust garlic. 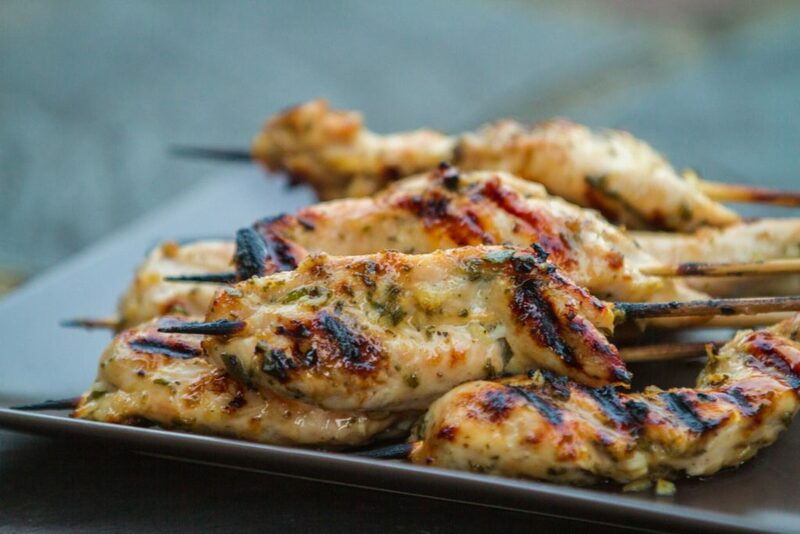 And, what better way to cook it than on the grill? The chicken stays juicy while getting just a little bit of char on the edges. The sugars in the lemon curd give a delightful taste of burnt sugar. 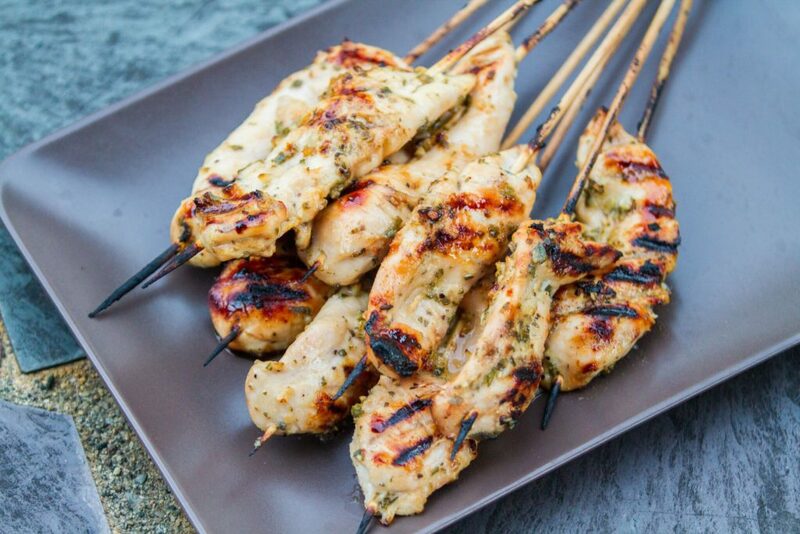 Finger food is always more fun, so we grilled each tender on a wooden skewer. 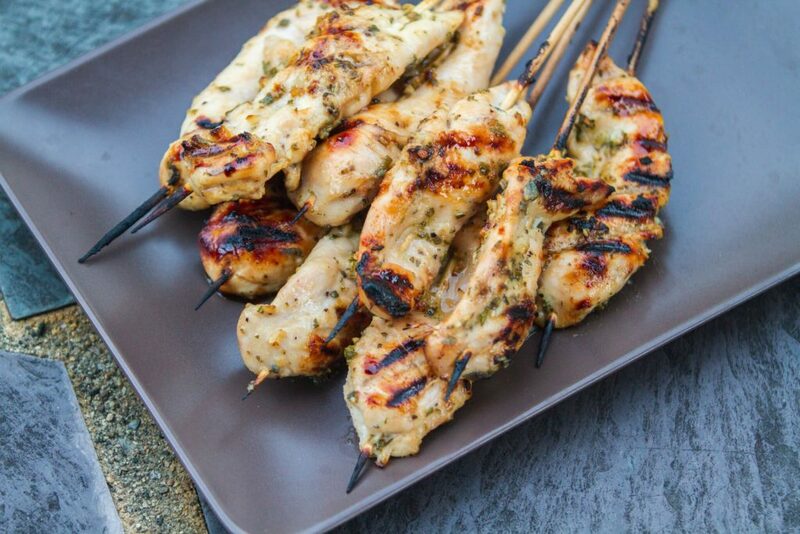 I could easily see cutting the tenders into smaller pieces on smaller skewers and serving them as a passed party hors-d’oeuvre. In a large bowl, stir together the minced garlic, minced herbs, lemon curd, olive oil and a few pinches of salt and black pepper. Add the chicken breast tenders and toss around the bowl to make sure each tender is fully coated in the lemon curd mixture.